National leaders want the state’s electoral college votes for a Democratic presidential candidate, but one writer argues the party’s focus should be on electing legislators and county commissioners. 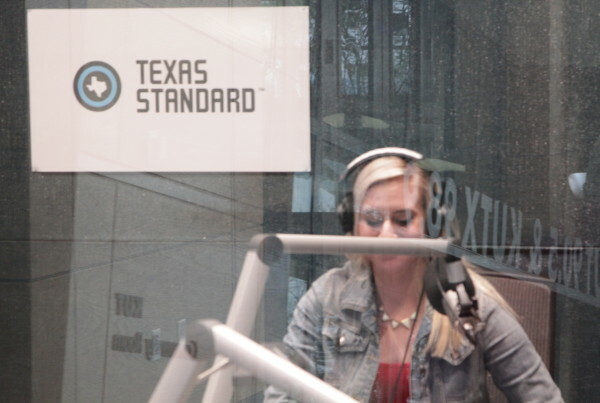 Wendy Davis at KUT in 2014. Much has been written about the prospect of a blue wave of Democrats flooding Texas polls and ending decades of Republican dominance in statewide and national politics. On primary election night, more Republicans turned out overall, and again left some Texans wondering whether “Turn Texas Blue” is any more than magical thinking on the part of Democrats. Christopher Hooks recently wrote a story for the Texas Observer proposing the term “Turn Texas Blue” should be retired. He says the blue narrative is the only one national pundits and political operatives use when talking about increasing the amount of Democratic power in Texas. “The literal meaning of Texas turning blue is turning blue on the electoral college map, which is the thing that national Democrats are most interested in,” Hooks says. Hooks says that even for Texans who want to see the state elect progressive senators, or give its electoral college votes to a Democrat, the process will likely take decades, just the way it did when Republicans turned the state red.